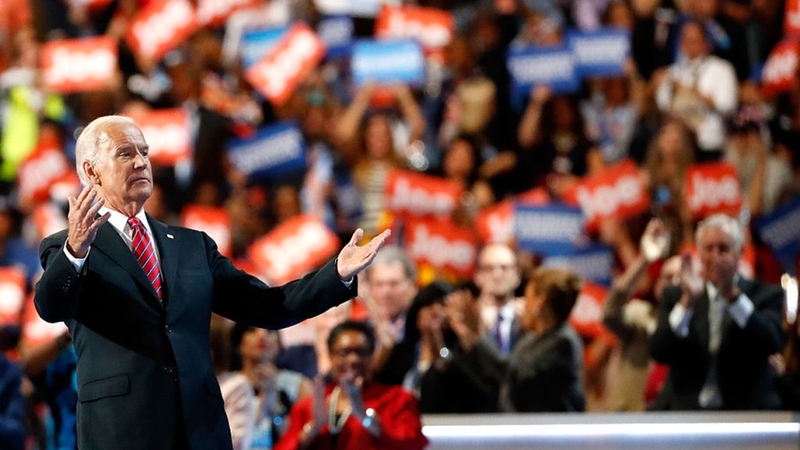 US Vice President Joe Biden acknowledges the crowd after delivering remarks on the third day of the Democratic National Convention at the Wells Fargo Center, July 27, 2016 in Philadelphia, Pennsylvania. Vice President Joe Biden accepted an award in Philadelphia Wednesday night honoring his work in coordinating the federal government's cancer research initiative. The World Affairs Council of Philadelphia celebrated Biden at a ceremony at The Bellevue. Biden is heading up the National Cancer Moonshot, an acceleration program to eliminate cancer. An estimated 600,000 Americans die from cancer every year, according to The White House. The moonshot is providing new funding for research and fostering coordination between different research centers to attack the diseases. Beau Biden, the vice president's son and former Delaware Attorney General, died last year after a battle with brain cancer.